It says something about the British character that we seem to actively rejoice in the ridiculous and the tawdry. It’s like some sort of endemic need for self-flagellation, that means - as a nation - we’re happy to embrace what we know to be trash. 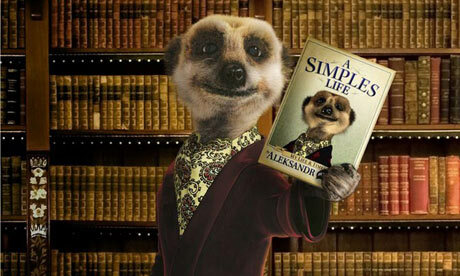 Only in this country would a puppet meerkat in a smoking jacket saying ‘simples’ continue to be a brilliant prospect eight years on - even producing its own spin-off merchandise. (Yes, I’m talking about the Christmas cash-in book, that no one bought me!) So successfully did the star of the Compare the Market ads capture the public imagination, it seems he’s now outgrown the brand. 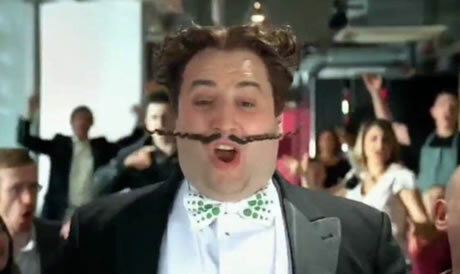 Living in the post-Crazy Frog UK, there is now a growing section of marketeers that have worked out that annoying sells - and they’ve set about zealously exploiting this strange quirk of our national character. Terrible as these are, daytime viewers are spoon-fed a diet of even cheaper advertising. If you’re unfortunate enough to be watching commercial television during working hours, you’ll unhappily enter a world where a succession of dull-eyed ‘normal people’ stare dimly into the camera, communicating their apparent surprise that ‘used gold’ is worth money. Or, alternatively, they're cherishing memories of how they serendipitously mounted a ladder on top of a roller-skate and have thus been enabled to sue the council for £500. You might even get to see an ex-cast member from The Bill attempt to bully viewers into calling the telesales team of a company which is apparently entirely populated by lawyers (even the guy that cleans the toilets - he’s a lawyer). What about a couple of badly-dressed, heavily-overweight blokes mugging furiously to the camera, whilst simultaneously shouting and jumping up and down on the spot? No, wait, that’s the Jacamo ads.